Tweed makes everything more fun, especially when it's bright pink. J. 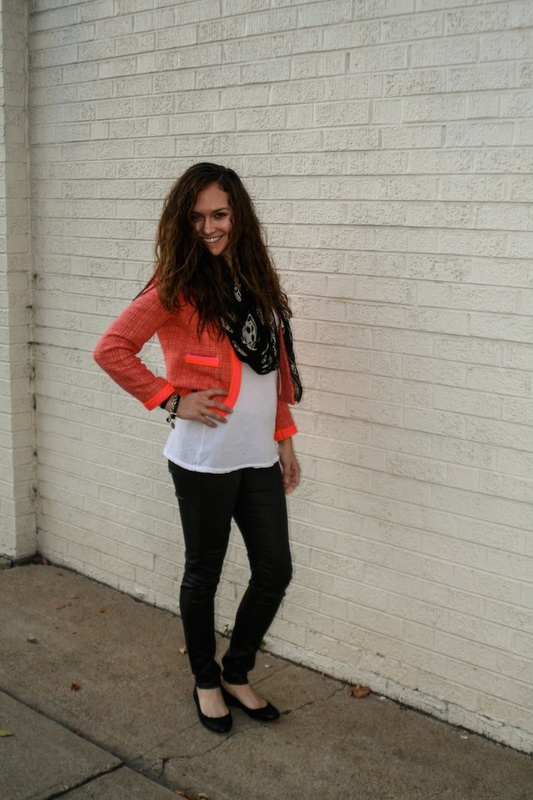 Crew blazer (similar style), James Perse tee, Rag & Bone denim, Alexander McQueen scarf, Vera Wang flats, Prada and Tiffany's bracelets. Thank you to my darling friend Alice for taking these photos! 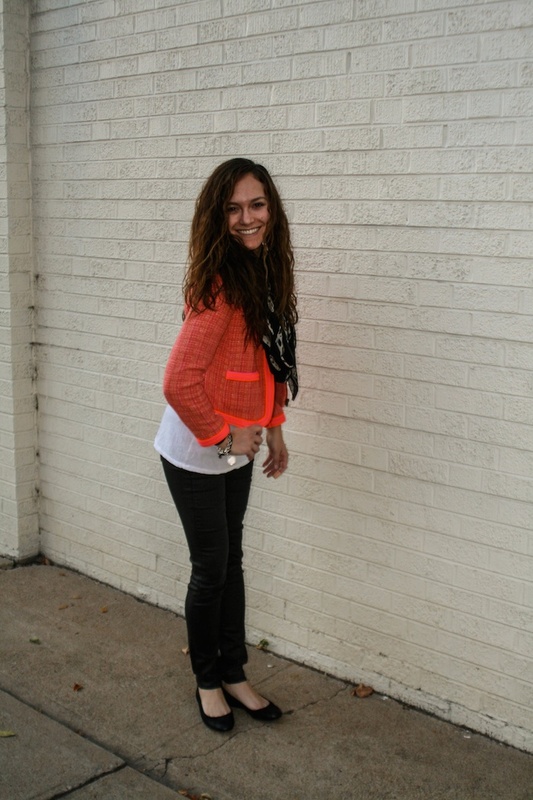 Check out her awesome blog here. She just moved to Denver, which I couldn't be happier about. You look so pretty! !love your jacket!! Gorgeous! 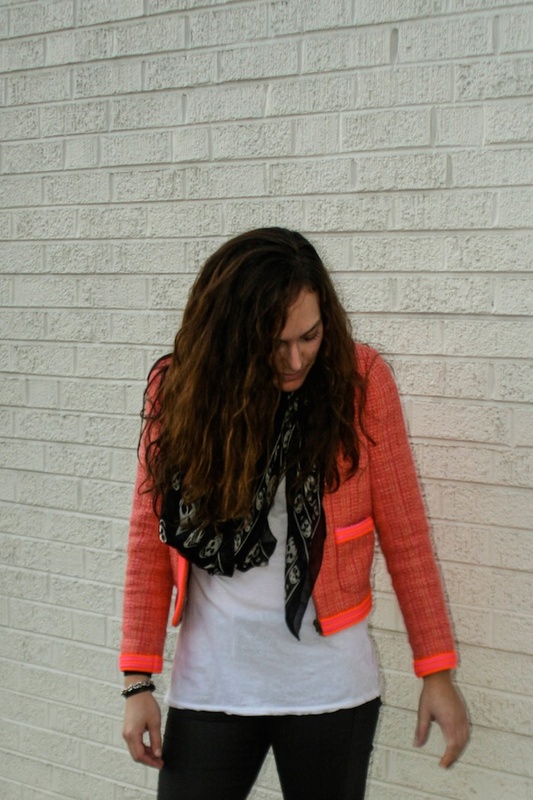 I love the color of the jacket and the pop of neon! The jacket is so cute, love the colour! 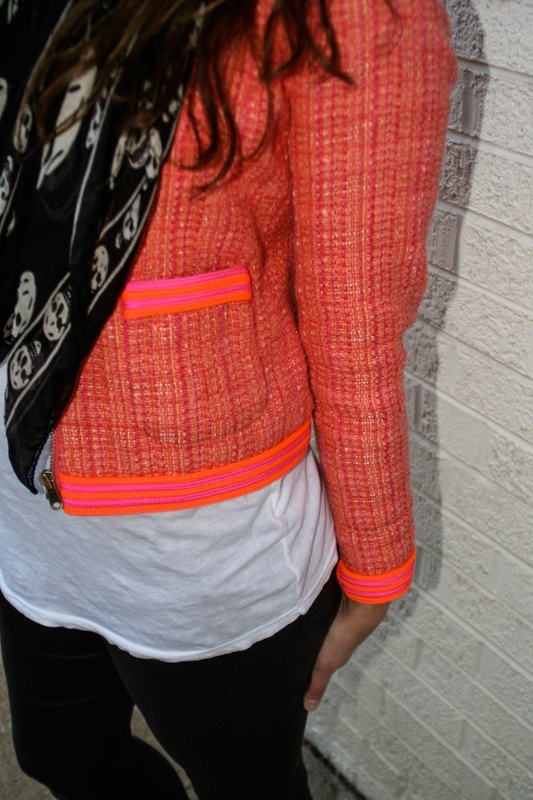 So amazing jacket!Perfect colourful accent to the fall outfits! You look adorable! I follow you now on bloglovin!!! Heartbreaking images honey! 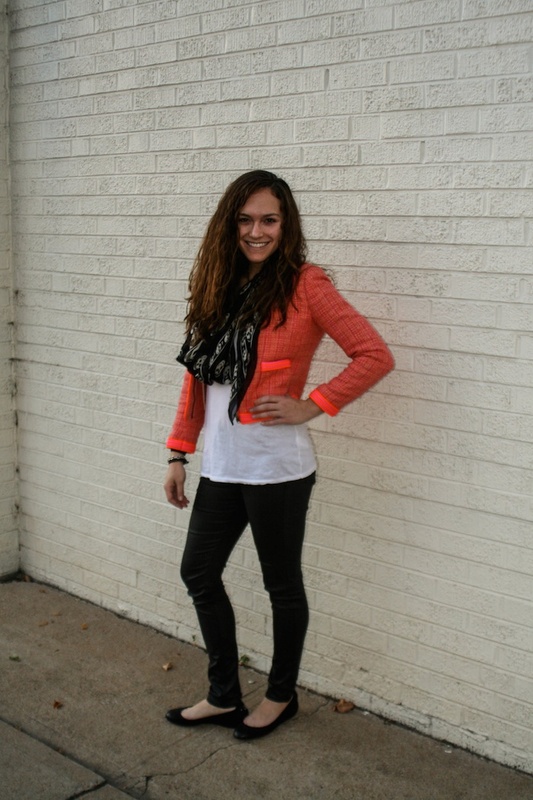 Totally love your style, your blog is just the coolest! Thank you! You're the sweetest!